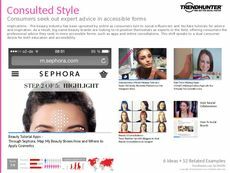 Find Better Ideas, Faster ® with a custom online celebrity trend report, our PRO Dashboard and 80+ categories of premium trend reports. 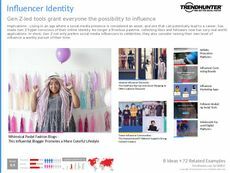 The Online Celebrity Trend Report assesses emerging patterns in the development of social influencers originating on the Internet. Movie stars and musicians are no longer the only individuals diominating celebrity culture as a growing sector of bloggers, vloggers, gurus and content creators gain popularity. This report will delve into the rise of online celebrities who find fame in the fields of fashion, beauty, lifestyle and fitness. This report is aimed at online content creators, like budding bloggers, vloggers and influencers who wish to gain inspiration from successful case studies. 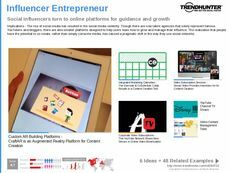 Furthermore, brand managers and marketers can utilize this report to find promotional and sponsorship channels through platforms like YouTube and Facebook, in an effort to associate their product with these incredibly influential online personalities. The Online Celebrity Trend Report showcases contemporary movements in the development of popular media figures. Use our research to stay current and competitive in this fast moving industry.